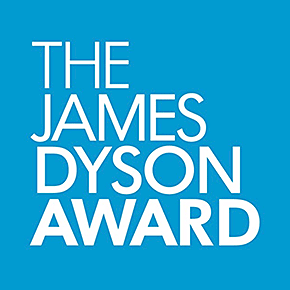 The James Dyson Award aims to open doors for bright designers. The Award is an annual competition open to students and recent graduates from 27 countries. Previous winners have launched their design solutions, been approached by big brands and have built innovative startup companies. The brief is to design something that solves a problem. The broad brief encourages driven designers to research and solve real world issues. Examples of previous problems include unsustainable fishing, unnecessary food waste, non-ergonomic prosthetics and melanoma detection. The competition judges are drawn to simple yet clever engineering solutions – winning designs have real potential to solve problems.